Texas Roads is Cathy Bryant’s first book. Bryant is a wonderful writer who paints vivid, emotional word pictures. There was much to appreciate about this book, but it did leave room for improvement. Dani, the lead female character, was just a little too good. A poor little rich girl nobody ever loved or understood — yet she somehow had two men vying for her affection and kept brushing them both off. That’s not the way someone starved for love — especially a non-believer — behaves. Steve, the lead male character, was moody and suspicious. Through the entire story Dani and Steve fight their attraction for each other and push each other away, then suddenly at the end declare their undying love for one another. What I appreciated most about this book was the way the characters lived their Christian faith, most especially Mama Beth. I also appreciated the way Steve kept praying that Dani would come to know God. Dani was searching for “home” an elusive place she thought would fill the emptiness inside of her. I appreciated that she wasn’t able to find a place of belonging until she accepted God into her life. I just wish, upon accepting God, Dani’s world didn’t suddenly turn into a happily-ever after fairy tale. Here in the real world that just doesn’t happen — especially Dani’s mother Cecille’s sudden personality change when she hadn’t been saved. This book has received a lot of rave reviews. Many people have liked it. It made the finalists list in the 2009 American Christian Fiction Writers’ Genesis competition, yet didn’t find a publisher and was printed by the author herself. It wasn’t a hard book to read and I had no trouble finishing it, but I leave it just a little disappointed because such great writing really needed a more solid plot. I am looking forward to Cathy Bryant’s next book as she grows in her craft. Cathy Bryant is a proud member of FIRST and a country girl at heart. 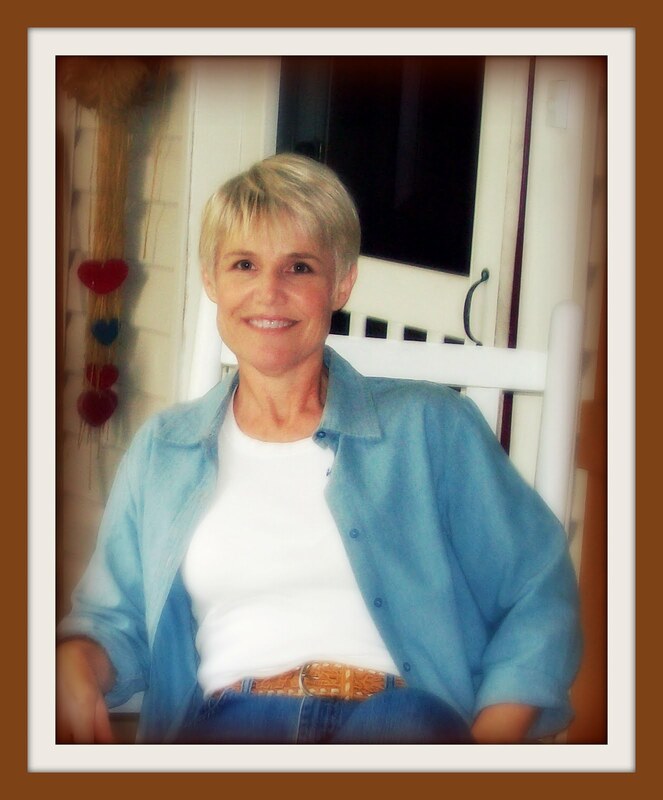 Her debut novel, Texas Roads, was a 2009 finalist in the American Christian Fiction Writers’ Genesis competition. A Texas gal by birth, Cathy lives with her husband in a century-old Texas farmhouse, complete with picket fence, flowers, butterflies, and late summer mosquitoes the size of your fist. Visit the author’s book website. Dani’s blue Honda Civic lurched and sputtered, drawing her attention to the neon-orange needle on the gas gauge. Empty. A frustrated growl rushed from her throat as she maneuvered onto the tufts of new spring grass at the side of the country road, turned off the ignition, and leaned her head back against the seat, berating herself for her forgetfulness. She’d love to blame this on the fight with her mother, but it wouldn’t explain the hundreds of times she’d made similar mistakes. One more to add to her collection. She rubbed the dull ache building between her eyes, and stared at her surroundings on this Texas back road. Why did she choose today, of all days, to visit her aunt, a woman she knew only from chatty letters and a brief phone call? She longed to escape. To disappear, to travel so far away that painful memories became yesterday’s ashes. A stray tear wandered down her cheek and she banished it with a swipe. Today marked the one-year anniversary of Richard’s death. Death had robbed her—not only of her husband, but of her dream—and stamped her heart’s one desire with angry red letters: REQUEST DENIED. Thanks to the life insurance and the inheritance of her father’s company, a ridiculous sum of money now graced her bank account, but not enough to buy what couldn’t be purchased. A house, yes—but not a home. Stop wallowing, Dani. She grabbed her cell phone and flipped it opened. No signal. Of course. She climbed from the car to scan the horizon. Nothing but tree-dotted pastures and a few cows. Breathing deep to quell the rush of panic, she closed her eyes and envisioned a sweet grandmother-type driving up to offer a ride. Her eyes fluttered open. Yeah, right. She wasn’t Cinderella. Godmothers didn’t exist. And Prince Charming? The biggest fairy tale of all. Waiting to be rescued just squandered precious hours of daylight. She snatched her purse from the passenger seat, slammed the car door, and stamped toward Miller’s Creek. Like a scratched CD, Mother’s hurtful words from the earlier phone conversation replayed in her mind, and none of it made sense. Why did her mother oppose this visit to see Aunt Beth? And what had caused a rift the size of Texas between the two sisters? The isolated countryside responded with silence. On the continued trek toward Miller’s Creek, the hush enveloped her, the only sound an occasional bird’s song and the rhythmic thud of her heels against the pavement. So peaceful. So unlike the city’s unending drone. The bluebonnets and Indian Blankets of early spring painted the countryside, stretching beyond the barbed-wire fence into open fields, and the breeze tangled her hair. As she breathed in the fresh air, her shoulder muscles unknotted. Then a low rumble pulled her gaze to the clouded sky. Heavy raindrops pelted Dani’s face and dotted her consignment shop designer jacket. Within minutes she was drenched, the metallic taste of make-up dribbling into her mouth. She kicked at a rock, self-pity seeping through her like the rain through her dry-clean-only suit. With a shiver she hunched over and pulled the soggy jacket closer in an effort to get warm. Burning pain in her left little toe hinted at the formation of a blister, but she hobbled on, her thoughts on her aunt. Could Aunt Beth provide the sense of family she so desperately needed? She attempted to toss the question from her mind. One thing was for certain. Her drowned-rat-appearance would make a memorable first impression. Just not in a good way. The faint roar of an engine sounded behind her and intensified. Finally. She turned to see an older model pickup top the hill, and waved her arms in an effort to make herself seen in the rain and approaching nightfall. The beat-up truck slowed to a stop and the window lowered. A soft chuckle resonated from him, and his eyes twinkled. She hoisted her chin. How dare he laugh at her. She raised a hand to her lips. What he said made sense, but could she trust him? Coyotes? Dani yanked on the door handle and hoisted herself onto the grimy seat. After one breath in, she wrinkled her nose and sniffed. What was that smell? Eau de Sweat? She swiveled her head toward him and found his gaze trained on her, his face lined with suppressed laughter. “What makes you say that?” He stared at her like she was mentally unbalanced and put the truck in gear. Dani drew in a sharp breath. Did God love her? She gave her wet head a shake, sending droplets of water to the worn seat. Yeah, right. No one could love her. Not even God. Conversation lapsed as the rain continued its steady stream, thundering against the roof, yet unable to drown out the hum of the truck’s engine. What would’ve happened to her if he hadn’t driven by? The only coyote she’d seen were the ones in science videos at school. A surprising shudder scuttled down her spine, followed by a shiver that rattled her teeth. He laughed out loud, a hearty sound that made her somehow feel better. “Feeling a little testy, huh?” His eyes sparkled with amusement. “Thanks.” She gripped the stained coat with two fingers, and examined it for signs of vermin. None she could see. “Looks…uh…nice and cozy.” She snuggled into its warmth and breathed in the light scent of men’s cologne. Dani closed her eyes, the unwelcome memories and emotions clawing their way through her insides. The feelings still took her by surprise, crawling into her consciousness at unexpected times. Had she not been a good enough wife? Is that why he’d betrayed her? “By the way, I’m Steve Miller.” The stranger’s silky baritone interrupted her thoughts. She opened her eyes to find his hand extended toward her. “Dani.” She clasped his hand. Not as rough as she expected for a cowboy. “You really shouldn’t be on the back roads without enough fuel, you know.” The look he gave her was stern, but kind. Dani swallowed the sarcastic reply that popped into her head, and instead sent him a pasted-on smile. The irony of his question made her grimace. At least the ring had served its purpose. She shook her head and focused on the passing terrain, some fields completely covered in wildflowers. How many more miles? “No surprise there,” she muttered to herself. She glanced at his filthy blue jeans and tattered shirt. It had probably been that long since he’d taken a bath. Immediate guilt rained over her. Ease up, Dani. At least he offered you a ride. Heat built up steam under her cheeks, and she averted her eyes. Okay, he wasn’t supposed to hear that. She rubbed fingers against her damp pants. Was it wise to divulge that information? “’Cause people from around here don’t dress up in such fancy duds.” His dark eyes glinted and her nerves unraveled more. Once again her cheeks fired up. Resting her elbow on the door, Dani leaned her hot face against her fist and wished for a punching bag. She stared at the tattered pickup cab ceiling and drew in a breath. “Dallas.” If they didn’t get to Miller’s Creek soon she was going to blow. “I suppose the same way you live with stinky old cows and a lack of civilization.” Her voice rose in frustration. Dani wished the blurted-out words back in her mouth. Too late. “Really?” His brows notched up and he snickered. The dam burst wide open. “Well now it’s my turn to be amazed. I didn’t know small towns like Miller’s Creek had schools.” Dani huffed out the words then yanked her head around to clamp a hand over her mouth. What was wrong with her today? Broken only by the swish of the windshield wipers and the pit-pat of rain drops, the silence hung between them, thick and sultry. Suffocating. She let out a slow breath and ducked her head to study him from beneath her lashes. Steve faced forward, the dark hair at the nape of his neck curling upward, his stubbled jaw locked. Most of her friends would classify him as handsome, but she wasn’t looking for a man. Not ever again. He began to whistle, a shrill sound that chafed against her raw nerve endings. She pressed a hand to her temple. How much farther could it be? “Is there a convenience store in Miller’s Creek by any chance?” She tried to infuse her tone with kindness. A nervous giggle escaped before she could stifle it, but Steve’s daggered glare brought it to a quick halt. After a few minutes she peeked at his face, now chiseled from granite. Way to go, Dani. 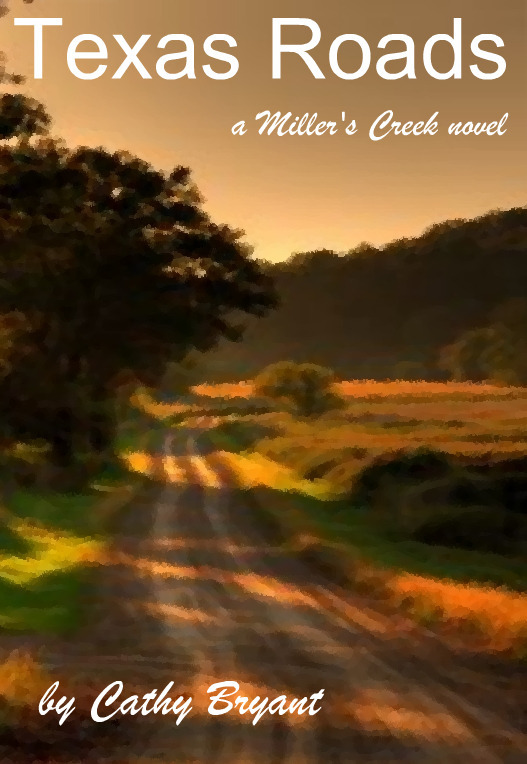 She’d already offended one member of Miller’s Creek, and hadn’t even made it to the city limits. The rain ceased as they pulled into town, and Dani sat up straighter at the sight of country cottages lining the street. Homey. A little tired, but nothing a fresh coat of paint couldn’t fix. Tree branches arched across the road to create a living canopy. The sun, sandwiched between cloud and earth, changed the leaf-clinging raindrops to diamonds. And children. Everywhere she looked. They splashed in puddles and chased each other across spring green lawns, their shouts and laughter a symphony of careless joy. So Mayberry RFD. The hunger for home haunted her, and a familiar ache settled over her heart like ancient dust. “Unbelievable.” Dani whispered the word and relaxed into the seat, then glanced at Steve, his face impassive. She tried to push aside the fear of never finding a home, but it clung to her with razor-sharp talons. In one deft movement, Steve jerked the pickup into a parking lot and came to a whiplash stop. She avoided eye contact and allowed the sign above the door to capture her interest. B & B Hardware? Dani peered to her right where two lanes of gas pumps stood, and a smile wiggled onto her face. A hardware-store-slash-gas-station. Only in a small town. “Keep it.” Steve spat out the words and leaned away, his mouth a taut slash. Surely he needed the money. His ragged jeans and this rattletrap he drove suggested as much. Dani squeezed her eyebrows together. For whatever reason, he wasn’t about to take the money, so she stuffed the bill back in her wallet, shrugged off the coat and handed it to him. “Thanks for the ride.” With a release of the door she lowered herself to the ground. Without looking her direction the cowboy put the truck in reverse, barely allowing her time to shut the door. As he tore out of the parking lot, his rear wheels spewed gravel. Dani sucked in air and blew it out in a gush. Thank goodness that was over. Now to call Aunt Beth and end this nightmare. She faced the store, her heart pounding like a child on the first day of school. I appreciate you taking the time to read and review TEXAS ROADS, and for giving it your honest evaluation. Just to let you know, the book was being considered by two different publishers when I felt that God wanted me to take the self-publishing route. Cathy — I have worked as an editor. I saw much potential in your story. I would not have purchased it as it stands, but it needed only minimal improvements. If you turned down the publishing houses because they wished to modify your Christian content, bravo. You did an outstanding job of presenting the gospel and linking it to security, peace and that sense of well-being we all call “home”. If this is the path God lead you down, I have no doubt he will prosper you and your ministry. May you and your work find blessings in the journey. Thanks, Quilly. I’d not heard of this book or author. I appreciate your comments here — I have sometimes seen that in Christian fiction where all the circumstances change for the better after a person is saved, and that’s not usually the case, as you said. Barbara — this book got many excellent reviews and it did have some interesting characters. Don’t pass up reading it just because I was slightly dissatisfied. I came here via Cathy’s Summer Splash post at her blog. It is good to hear different views of the book. I am looking forward to reading it, especially after seeing bits and pieces of her heart and walk through her blog posts! I also look forward to following your posts from now on!!! he online marketplace for cars and trucks is huge and confusing, you would generally have to have one search to find a place to sell your car, another search to purchase your car, and yet another to find parts and supplies or maintenance/repair information and you will love it.